Format Originally a medal play tournament, the 2002 event was held as match play - a change which will likely carry over to future years ... or not, it appears we can select our mode of play at the beginning of each year's tournament, and we do! The "Sinister" in the name does (as many of you have no doubt already wondered) refer to left-handed-ness. In fact, one of the seekers after the sport coat is always left-handed, while the other is always right-handed. Except on this one occasion, of course - the whole point here is that we trade clubs and play golf in the opposite orientation to our normal proclivities. And a grand time is had by all, you may have no doubt! History Begun in AD 2000, the Sinister Invitational has a rich and storied history. In 2001, the site was Warfield Greens in Utica - no lakes or boats, but beautiful in its own way. Then, in 2002, the third of the three rotating courses was introduced: Belle Isle - another site with water and boats, but with the added temptation of plenty of geese. In observance of the Biblical injunction to let the fields have their rest in the Sabbath Year, the Sinister Invitational skips each seventh (7th) year. 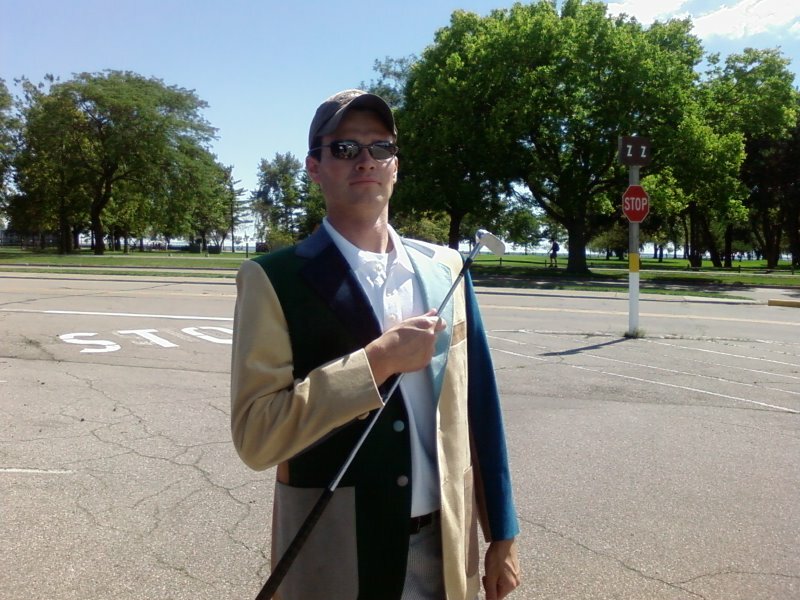 Should a tournament inadvertently be played in a sabbatic year, all results resulting from said inadvertent tournament will be null and void, and the jacket returns to the winner of the previous - and sanctioned - tournament. In a radical retooling of the tournament, all "courtesy" of disgraced former Detroit mayor Kwame Kilpatrick, the Belle Isle course has been removed from the roatation due to its having been closed. (It's not easy to play in waist-high grass right- or left- handed.) 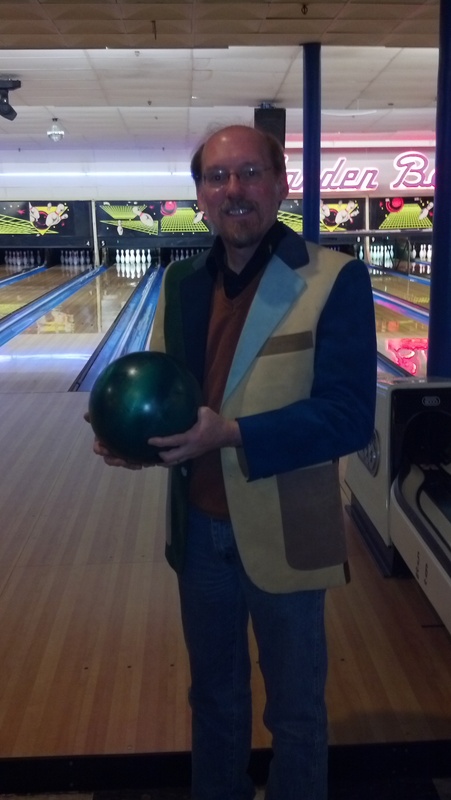 In its once-hallowed place, the Garden Bowl on Woodward has been added, as has bowling as an official sinister sport. As always, the jacket only changes hands (shoulders?) during sanctioned events, but now there is a whole new kind of event being sanctioned! 2004 - DeWitt by 1 hole and zero stokes! 2005 - van Becelaere by 3 strokes - decided in the last 2 holes! 2008 - van Becelaere by 2 strokes - again, down to the last hole! 2002 - new venue, multiple goose shots, plus the last hole putt to save the match by Charlie as the lights started to come on. 2003 - no freighters this year, but a new pair of shoes may have had a "hand" in the results, four holes to get broken in, then parity (pair-ity? ), transfer of the hallowed jacket once again. 2005 - what was this - the British Open? rain (off and on), goose poop everywhere, and still, we had more fun than even on a regular work day! Also, a return to Medal play. 2007 - we've returned to the site of the first Sinister Invitational - Metropolitan Beach, as well as to medal play. 2008 - back to venue # 2, Warfield Greens. Gorgeous weather, slower than sinister players all around, and even a sign greeting the Annual Sinister Invitational at the clubhouse! 2009- not just a new venue, a new sport. You may not believe it, but it's true, and the evidence will be posted once it exists! The new venue is the Garden Bowl on Woodward in midtown Detroit. 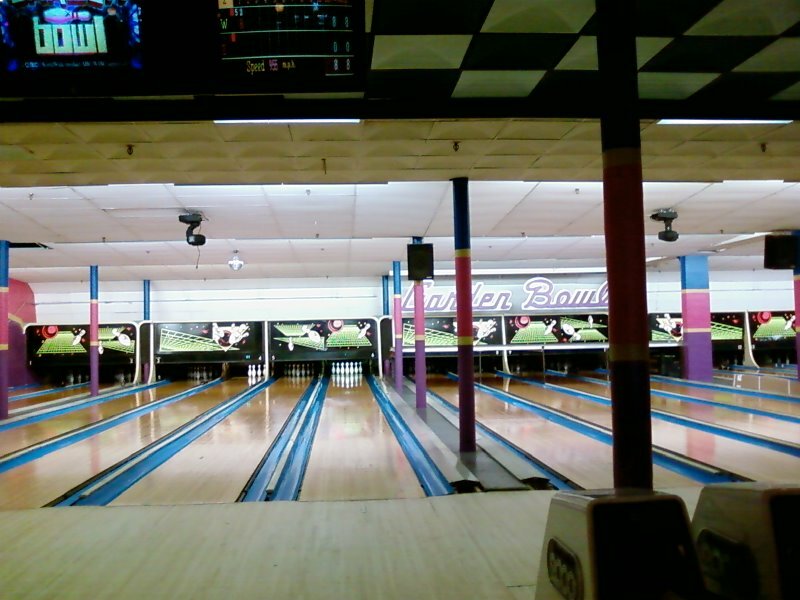 The nation's oldest still-operating bowling center is now the third venue for the Sinister Invitational - now adding off-hand bowling to the original golf-only format! 2010 - back again to venue # 1, Metropolitan Beach, and its available freighter shots and other splashing goodness. 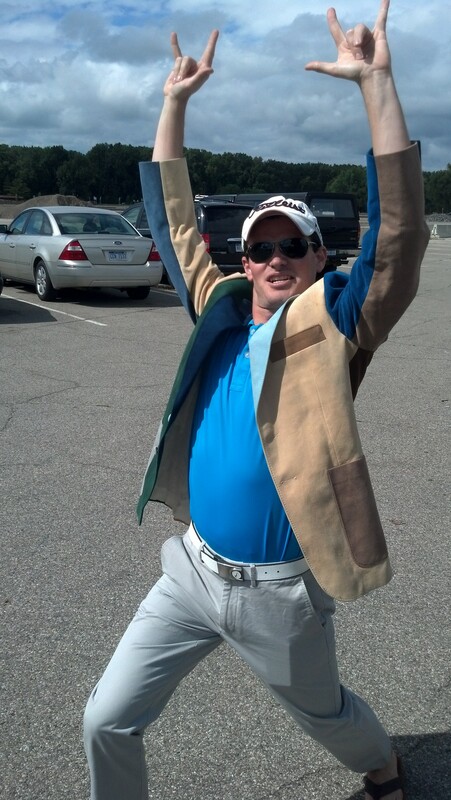 2011 - back again to venue # 2, Warfield Greens, and its loquatious proprietor! 2012 - back again to venue # 4, the Garden Bowl, and its tasty pizza and mis-behaving computer. 2013 - Pre-played 2014 round at Metropolitan Beach to accomodate an upcoming birth! PS - It's all Kwame's fault! 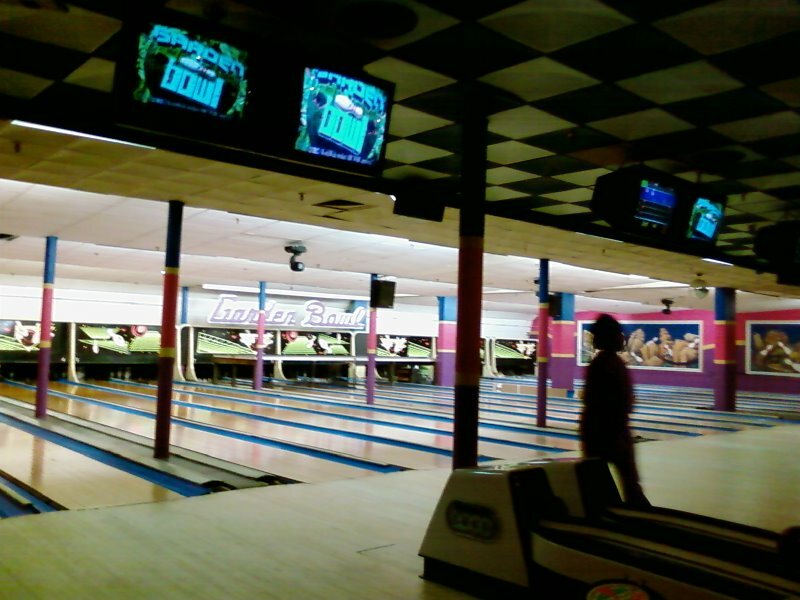 We still had fun, and the Garden Bowl is definitely in the top three of our current venues! * - not participating in the tournament, not even playing along as the scorekeeper this year :-(. * - not participating in the tournament, just playing along as the scorekeeper.